With very little time before the Playoff Selection Committee unveils the four teams set to square off, the Big Ten sits in a very interesting position. Ohio State is ranked second in the field but due to tiebreakers, Penn State got the spot in the Big Ten Championship Game, representing the East Division. 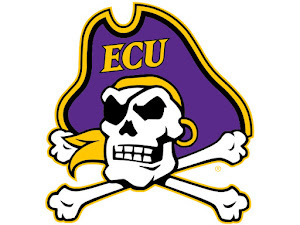 They'll square off against a Wisconsin team that isn't completely out of the Playoff race, but will need some help in front of them (likely a Washington/Clemson loss). In order for the Badgers to pull off a victory, they will need to stop an Penn State offense that lives and dies off big plays. Big-armed quarterback Trace McSorley has had a huge season, tossing the ball to the Nittany Lions' variety of weapons on the perimeter. However, McSorley has not seen a defense with the talent and discipline of the Badgers, outside of Michigan earlier in the season where he really struggled. He will obviously have to avoid mistakes, as Wisconsin capitalizes off turnovers as well as anyone. Penn State also has a dangerous running back Saquon Barkley with 1,219 yards and 15 touchdowns on the campaign. He will not have an easy time himself, as the Badgers' front seven includes names like t.j. Watt (J.J.'s younger brother) and pass-rushing specialist Vince Biegel. With the experience and talent they have on the defensive side of the ball, the Badgers should be able to contain those big plays and really force the Nittany Lions to consistently make plays, something they have struggled with on the season. The key for Wisconsin, though, will certainly be offensively. Quarterback Alex Hornibrook has been rock-solid all season long, but is questionable for the Big Ten Championship. If he is unable to go, the Badgers will most likely turn to senior Bart Houston. Houston has seen some action throughout the year, but could still be shaking off rust. He won't have to do much in this one, as Wisconsin has alway leaned on their powerful ground game. 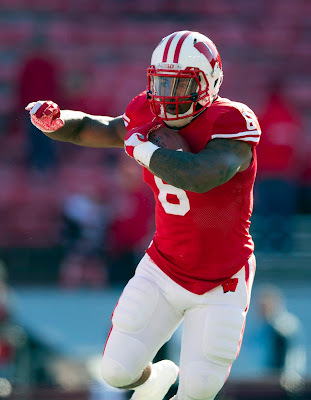 Senior Corey Clement is very dangerous and has really turned it on in the season's second half. PSU has plenty of talent on defense, but the group isn't very big and is terribly inconsistent. There remains a very good chance they could be pushed around by the Badgers' massive O-Line. Stopping Jazz Peavy, Wisconsin's versatile receiver, will prove to be an X-Factor as well. Both of these teams know that while neither is in the Playoff field just yet, a win here would put them in a very good spot. They will be very motivated, but experience and momentum seems like it could be on the Badgers' side. Their defense is too strong and quality to let Penn State beat them with big plays and long runs. If Houston can lead the offense and Peavy/Clement can make enough big plays, Wisconsin should lock this one down. Every single season, there are a few surprises throughout the nation that seemingly come out of nowhere and make a huge impact on the National Championship race. These two teams certainly fit that role, particularly Colorado. After winning four games last season and being a consistent cellar dweller since 2007, the Buffaloes have risen to a 10-2 record, and won the Pac-12 South. The only thing that could make the year better would be a Pac-12 title, which is not out of the question. In order for that to happen. they'll have to hold an explosive Washington team that has recovered nicely from a USC loss earlier in November. The Huskies have one of the nation's top offenses, averaging 44.8 points per game, tied for third in the nation. They have been led by sophomore QB Jake Browning, explosive Myles Gaskin and game-changing wide out John Ross III. Ross missed all of last season with a torn ACL but has come back in a huge way, and should be ready to test an experienced Colorado secondary. Colorado should also be ready to keep the scoreboard operators busy as well. While their offense doesn't quite have the star power of the Huskies on that side of the ball, they do have an experienced signal-caller in Sefo Liufau and they spread the ball extremely well. Liufau, who entered the season unsure whether he would even play due to a Lisfranc injury, has been wonderful. Liufau will be supported by underrated running back Phillip Lindsay and reliable Shay Fields. Lindsay is a workhorse that could have some serious success against a banged-up UW defense. That defense is without top pass rusher Joe Mathis and linebacker Azeem Victor, who are both out for the season. The Huskies struggled to contain USC on the ground in their lone loss, and much of that was because of the absence of Victor, so it isn't crazy to think Colorado could have some serious success. However, the Buffaloes could still have a tough time through the air, as UW brings one of the nation's best defensive backfields to the equation. Corner Sidney Jones is a physical, tough defender and versatile safety Budda Baker is a ball-hawk that will look to get some big plays. The Pac-12 has long been known as a conference that scores first and plays defense later. Expect this Championship Game to be very similar. Neither defense is terrible, but this should still be a Friday night shootout with the offensive talent on both sides. Colorado has been a magical surprise, and no matter what happens in this one, they should feel very good about what they have accomplished in 2016. Yet, they just might have enough to contain Washington's abundance of playmakers and extremely balanced attack. The only thing that stands in the way of a second straight ACC title and Playoff berth for Clemson is a 9-3 Virginia Tech squad led by first-year head coach Justin Fuente. The Hokies have long been a defense-first, special-teams orientated team under former coach Frank Beamer, but Fuente has installed a more energetic energy into the program. Offensively, they have proven they can move the ball in a variety of ways. First-year starter Jerod Evans has been a revelation at quarterback, tossing for over 3,000 yards and 26 touchdowns. 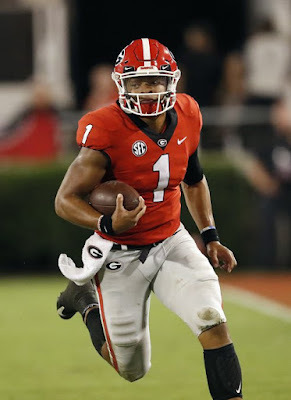 Evans not only has proven he can use his big arm, but he is dangerous as a dual threat, which should obviously test Clemson's stout front seven. In fact, Evans is VT's leading rusher, with 713 yards on the season. The Hokies also have a dangerous outside weapon in underrated receiver Isaiah Ford, and bullish fullback Sam Rogers finds ways to impact games in creative ways. This past off-season Clemson has hit hard by the NFL Draft bug, as studs like Shaq Lawson, Kevin Dodd, T.J. Green and Mackensie Alexander all left for the pros. That has left DC Brent Venables needing to rebuild, but he has done a strong job. Defensive linemen Carlos Watkins and Christian Wilkins are still pests, and gritty linebacker Ben Boulware is as good as they come. However, the secondary is still recovering and the group has been slightly shaky all year long. If Evans is feeling it and can overcome the Tigers' pass rush, that could be an issue for Clemson. On the other side of the ball, the Hokies will still play a tough brand of defense. Long-time coordinator Bud Foster still loves to bring pressure and mix things up, and he will be eager to show what his defense can do against one of the top offenses in the conference. That Clemson offense is headed by soon-to-be first-round selection Deshaun Watson at quarterback, dynamic Wayne Gallman at tailback and plenty of weapons at receiver and tight end. Watson has had some turnover problems this season but is still one of the most talented signal-callers in the land. His big arm and fabulous legs will also be enough to give Tech troubles. Clemson's offensive line has been inconsistent at times this year, and banged up. The group could be in store for a tough game against the aggressive Hokies, so that could be another important factor to keep an eye on. One year ago, Clemson was the top team in the nation and set to make the Playoff before getting all they could handle from North Carolina in the ACC Championship. That could the same case this season, as a win would lock Clemson into the Playoff, but the Hokies will play hard and have nothing to lose. Talent-wise the advantage has to to Clemson, but that doesn't mean an easy victory. They'll need to hold on to the ball and need a big showing from their defense. If that happens, it should be more than enough to roll past Virginia Tech.